OTP’s come in many different shapes, sizes, flavors and prices. OTP’s are often marketed as safer, cheaper, able to use in non-smoking environments, and are more discreet than cigarettes. Controlling dosage of tobacco (Dissolvable products and snus) and giving “how-to” instructions for new users. Often “how-to” videos and instructions are placed by people on social media sites. Smokeless and other new products are not a safe alternative to smoking. Despite the tobacco industry’s claims of reduced health risks, OTP’s are still deadly. The health consequences of OTP’s include oral, throat and pancreatic cancer, tooth loss, gum disease and increased risk of heart disease, heart attack and stroke. An electronic cigarette is an oral device that can be used to simulate smoking and that produces an aerosol of nicotine and/or other chemicals. They take many forms: Electronic Cigarettes are also known as e-hookahs, hookah pens, vape pens, vaporizers, e-cigars, and e-pipes. Why Should You Be Concerned? We have worked hard for clean air. E-cigarettes produce more than just water vapor. The aerosol can contain nicotine, ultrafine particles, heavy metals, and toxic cancer-causing chemicals. Wisconsin communities have come to expect clean indoor air; e-cigarette use threatens this standard and makes enforcement confusing. E-Cigarettes are not regulated and have not been proven safe. There are no regulations on the manufacture or sale of the 450+ brands of e-cigarettes to protect consumers. Contents vary widely and don’t always match the ingredients or amounts listed on labels. The number of poison control calls linked to the “juice” used in e-cigarettes is on pace to double in 2014. E-Cigarettes are not approved to help smokers quit. Not one of these products has been approved by the FDA as a cessation device. The use of e-cigarettes has more than doubled among youth. Candy-like flavoring like grape and cherry target youth tastes. Marketing efforts dress-up e-cigarettes as safe and cutting edge. Wisconsin worksites are smoke-free. Many private home owners have smoke-free homes, whether or not they smoke themselves. Smoke free living can be achieved in rental units as well. Adopting a smoke-free policy for rental units is a growing trend. For those who own property, it’s profitable, legal and popular! 72% of renters in buildings that allow smoking would prefer non-smoking policies. Learn more about how smoke-free buildings can benefit you! Find help with model language, implementation guidance and signage. Visit Wisconsin’s smoke-free housing website www.wismokefreehousing.com. Looking for a smoke free apartment? 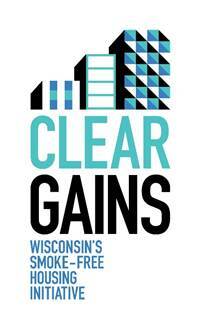 Check out Wisconsin’s Smokefree housing finder! http://wismokefreehousing.com/find. Call or email Judi Zabel for more information, 608-785-9872. You can quit smoking! Smoke-free workplaces offer a great opportunity to quit smoking for good. 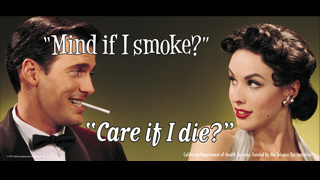 Call 1-800-Quit-Now for free quitting assistance, or take a look at the website. The Wisconsin Tobacco Quit Line offers free, confidential coaching on how to quit smoking or chewing tobacco. The QuitLine offers free counseling and a free 2-week starter kit with patch, gum, or lozenge. The Quit Line has already helped over 50,000 callers. The U.S. Surgeon General says there is no safe level of exposure to secondhand smoke. Secondhand smoke is both the smoke from the burning end of a cigarette, pipe or cigar and the smoke that is exhaled by smokers. It can stay in the air long after a cigarette has been put out and can be involuntarily inhaled by nonsmokers. Secondhand smoke kills tens of thousands of Americans every year and causes serious life-threatening illnesses to thousands more. In 2006, the California Air Resources Board classified secondhand smoke as a "Toxic Air Contaminant" in the same category as asbestos, cyanide and arsenic- all of which can lead to serious illness and death. Your home, apartment or Condo. Separating smokers from nonsmokers, opening windows, or using air filters does not prevent people from breathing secondhand smoke. 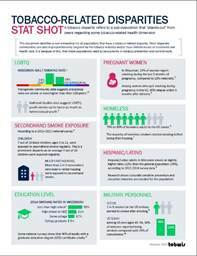 Secondhand smoke is also a serious health threat for nonsmoking adults. It causes lung cancer in those who haven't previously smoked and increases the risk for heart disease, stroke and chronic lung problems. 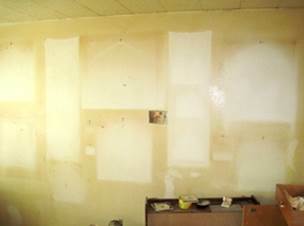 After the smoke is no longer visible, the toxins still remains and build up on surfaces. This residue, which contains highly toxic particles, cling to clothing, furniture, hair, and carpet long after the smoke is gone. Third-hand smoke can stay on unwashed surfaces for days, weeks, and even months. ANYONE who comes into contact with toxins in third hand smoke is at risk. INFANTS AND CHILDREN are at a greater risk because they are closer to the carpet and surfaces that residue clings to. Babies touch and put their mouths to these surfaces, receiving as much as 20X exposure adults do. Toxin exposure is a major cause of Sudden Infant Death Syndrome. Low levels of toxins can build up to dangerous levels in the body. This can cause learning problems for children. PETS’ furs and feathers can contain toxins from smoke landing on them, which causes animals harm. Make your home and car smoke free. Including all electronic smoking devices. Studies have shown that parents who enforce a no-smoking ban at home are less likely to have teens who experiment with cigarettes. If your relatives or friends smoke ask them to wash their hands and put on smoke free clothing before holding your baby. Finally, if you used to allow regular smoking in your home, consider replacing low-cost items like throw pillows, area rugs, and curtains. For items like couches and rugs, consider a thorough steam cleaning which can help reduce the amount of dangerous particles, pollutants, and allergens that are trapped in their fibers. I live in Multi-Unit Housing What can I do to protect my family? 60% of the air you breath in your apartment comes from others apartments. Look up Wins inspections per county, per year from 2009 – present. 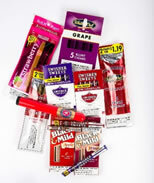 Smokecheck.org provides free state-approved retailer training on Wisconsin tobacco sales law. The online tool includes study guides, a quiz, and a certificate of completion. Once trained, employees will know how not to sell tobacco to minors. Smokecheck.org can help retailers avoid license suspension and fines. 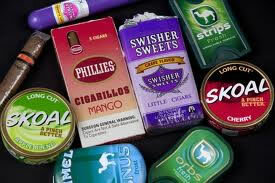 Even better, by knowing and following the rules, they help Wisconsin youth stay tobacco-free. Get trained today. 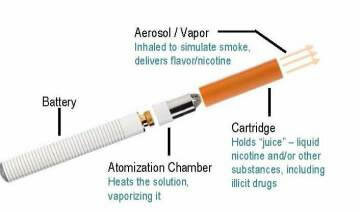 Visit www.SmokeCheck.org. Equality is about sameness, it promotes fairness and justice by giving everyone the same thing. But it can only work if everyone starts from the same place, in this example equality only works if everyone is the same height. Equity is about fairness, it’s about making sure people get access to the same opportunities. Sometimes our differences and/or history, can create barriers to participation, so we must first ensure equity before we can enjoy equality. Wisconsin smoking rates for youth (10.7%) and adults (17%) are at an all-time low. But there are pockets of individuals that are not enjoying the benefits of smoke-free air. 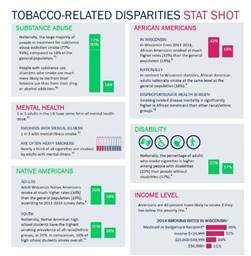 We are focused on increasing health equity in tobacco prevention and control in an effort to decrease prevalence rates and prevent initiation among those who are most disproportionately impacted by the burden of tobacco. Adverse childhood experiences (ACEs) are negative life events or experiences which occur during childhood and have the potential to impede healthy child development. 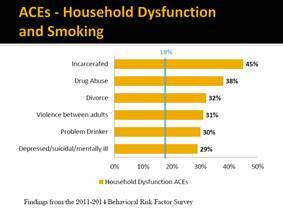 An ACE score is a measure of the cumulative exposure to adverse childhood experiences. Exposure to any one of the criteria is counted as one point; points are tallied and totaled for a final score. An ACE score does not capture the severity or frequency of an adverse experience; instead it illuminates the number of ACE categories experienced. 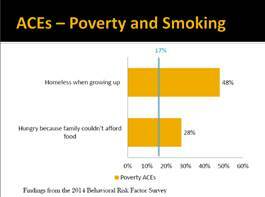 ACEs can have long-term, damaging consequences, such as higher risk behaviors and poor health outcomes, and are a leading determinant of public health spending. Even though ACEs are very prevalent in Wisconsin, there are steps that we can take to lower the impact ACEs have on smoking. Engage in partnerships with other organizations, agencies, partners, etc. Paradigm shift from, “What’s wrong with you?” to “What happened to you?” This shift helps you avoid assumptions and is more engaging and accepting when working with folks who have experience adversity. 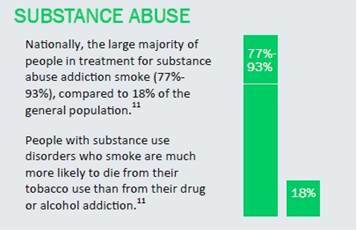 Adults with mental illness of substance abuse use disorders are more likely than adults without those problems to use cigarettes. In addition, adults with these problems who do smoke tend to smoke more cigarettes. In Wisconsin there are 8,000 tobacco deaths annually. Our residents with substance dependence and mental health disorders account for 3,520 of these deaths. That is 290 deaths a month in our state; or 10 a day. Smoking restrictions may help smokers decrease the number of cigarettes they smoke which may also help them quit.